Arsenal have agreed a club-record 55.5m pounds deal to sign Gabonese striker Pierre - Emerick Aubameyang from Borrussia Dortmund. The BBC have reported that the Striker will move to London before the end of the transfer window, but Dortmund will only sanction the deal if they can get in something before the window closes in two days time. Negotiations have been going on for over two weeks before, but the end seems near now. Early last week, a delegation from Arsenal, led by Chief Executive, Ivan Gazidis, new head of recruitment, Sven Mislintat and Huss Fahmy were pictured in Dortmund, further fueling speculations about the future of the player. 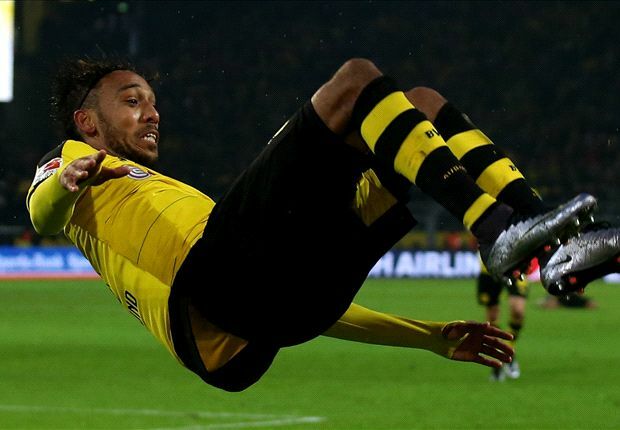 Aubameyang moved to Dortmund in 2013 from St Ettiene in the French league and has scored 98 goals from 144 appearance for the German club. He joins Mhikitaryan from Manchester United as Arsenal's second transfer incoming of the year.